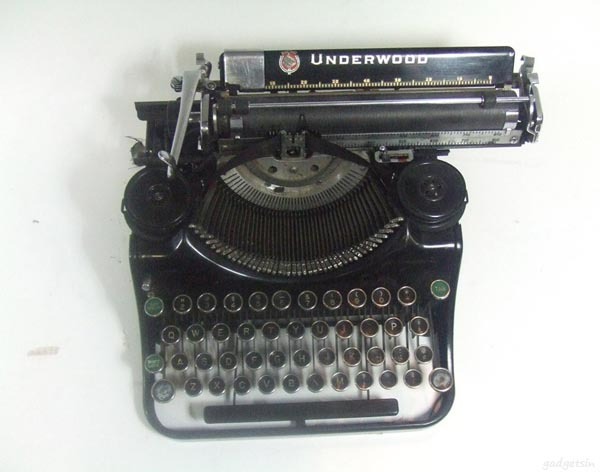 It’s really awesome Underwood typewriter. After modified by Jack Zylkin, it has turned into innovative USB Typewriter for many fresh gadgets such as Apple iPad. The USB typewriter keyboard is made over from a recycled typewriter, and comes with a special application, and a USB port for your Mac, PC, and iPad. Just as we know, typewriter is keyboard’s mother. So don’t worry about meeting any question when you enjoy the feeling of touching vintage keys on the USB typewriter. 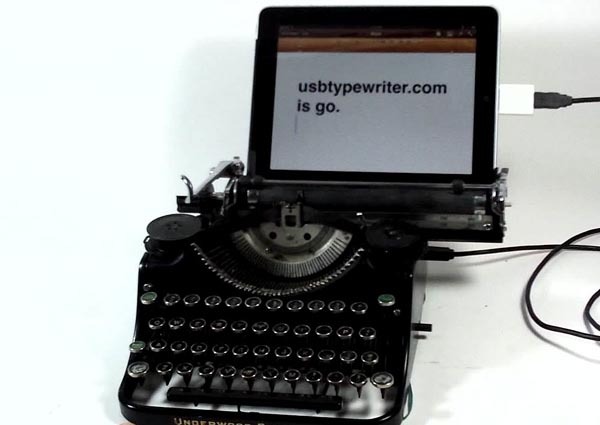 The USB typewriter is priced at $500 USD. Although it’s so wonderful, I suppose it’s expensive. Of course, if you’re interested, please jump to Etsy for more details. After the break, take a look at the video of USB typewriter.